Twelve years in Afghanistan down the memory hole. Will the US still be meddling in Afghanistan thirty years from now? If history is any guide, the answer is yes. And if history is any guide, three decades from now most Americans will have only the haziest idea why. Since the 1950s, the US has been trying to mold that remote land to its own desires, first through an aid “war” in the midst of the Cold War with the Soviet Union; then, starting as the 1970s ended, an increasingly bitter and brutally hot proxy war with the Soviets meant to pay them back for supporting America’s enemies during the war in Vietnam. One bad war leads to another. From then until the early 1990s, Washington put weapons in the hands of Islamic fundamentalist extremists of all sorts—thought to be natural, devoutly religious allies in the war against “godless communism”—gloated over the Red Army’s defeat and the surprising implosion of the Soviet empire, and then experienced its own catastrophic blowback from Afghanistan on September 11, 2001. After fifty years of scheming behind the scenes, the US put boots on the ground in 2001 and now, twelve years later, is still fighting there—against some Afghans on behalf of other Afghans while training Afghan troops to take over and fight their countrymen, and others, on their own. Through it all, the US has always claimed to have the best interests of Afghans at heart—waving at various opportune moments the bright flags of modernization, democracy, education, or the rights of women. Yet today, how many Afghans would choose to roll back the clock to 1950, before the Americans ever dropped in? After twelve years of direct combat, after thirty-five years of arming and funding one faction or another, after sixty years of trying to remake Afghanistan to serve American aims, what has it all meant? If we ever knew, we’ve forgotten. Weary of official reports of progress, Americans tuned out long ago. Such forgetfulness about wars has, it seems, become an all-American skill. 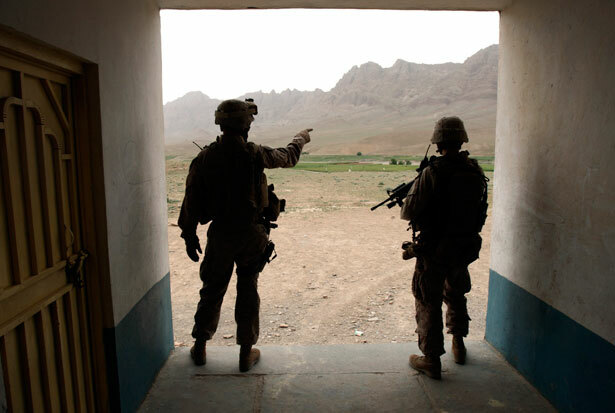 Certainly, the country has had little trouble forgetting the war in Iraq, and why should Afghanistan be any different? Sure, the exit from that country is going to take more time and effort. No seacoast, no ships, bad roads, high tolls, IEDs. Trucking stuff out is problematic; flying it out, wildly expensive, especially since a lot of the things are really, really big. Take MRAPs, for example—that’s Mine-Resistant Ambush-Protected vehicles—11,000 of them, weighing fourteen tons or more apiece. For that workhorse transport plane, the C-17, a full load of MRAPs numbers only four. The equipment inventory keeps changing, but estimates run to 100,000 shipping containers and about 50,000 vehicles to be removed by the end of 2014, adding up to more than $36 billion worth of equipment now classified as “retrograde.” The estimated shipping bill has quickly risen to $6 billion, and like the overall cost of the war, it is sure to keep rising. Seven billion dollars worth of equipment—about 20 percent of what the US sent in to that distant land—is simply being torn up, chopped down, split, shredded, stomped, and, when possible, sold off for scrap at pennies a pound. Toughest to break up are the weighty MRAPs. Introduced in 2007 at a cost of $1 million apiece to counteract deadly roadside bombs, they were later discovered to be no better at protecting American soldiers than the cheaper vehicles they replaced. Of the 11,000 shipped to Afghanistan, 2,000 are on the chopping block, leaving a mere 9,000 to be flown to Kuwait, four at a time, and shipped home or “repositioned” elsewhere to await some future enemy. The military is not exaggerating when it calls this colossal destruction of surplus equipment historic. A disposal effort on this scale is unprecedented in the annals of the Pentagon. The centerpiece of this demolition derby may be the brand-new, 64,000-square-foot, $34-million, state-of-the art command center completed in Helmand Province just as most US troops left, and now likely to be demolished. Or the new $45 million facility in Kandahar built as a repair center for armored vehicles, now used for their demolition, and probably destined to follow them. Taxpayers may one day want to ask some questions about such profligate and historic waste, but it’s sure to keep arms manufacturers happy, resupplying the military until we can get ourselves into another full-scale war. So this exit is a really big job, and that’s without even mentioning the paperwork. All those exit plans, all the documents to be filed with the Afghan government for permission to export our own equipment, all the fines assessed for missing customs forms (already running to $70 million), all the export fees to be paid, and the bribes to be offered, and the protection money to be slipped to the Taliban so our enemies won’t shoot at the stuff being trucked out. All that takes time. But when it comes right down to it, the United States has a surefire way of ending a war, no matter when it actually ends (or doesn’t). When we say it’s over, it’s over. In Afghanistan, too, as the end of a longer war supposedly draws near, the rate at which civilians are being killed has actually picked up, and the numbers of women and children among the civilian dead have risen dramatically. This week, as The Nation magazine devotes a special issue to a comprehensive study of the civilian death toll in Afghanistan—the painstaking work of Bob Dreyfuss and Nick Turse—the pace of civilian death seems only to be gaining momentum as if in some morbid race to the finish. Like Iraqis, Afghans, too, are in flight—fearing the unknown end game to come. The number of Afghans filing applications for asylum in other countries, rising sharply since 2010, reached 30,000 in 2012. Undocumented thousands flee the country illegally in all sorts of dangerous ways. Their desperate journeys by land and sea spark controversy in countries they’re aiming for. It was Afghan boat people who roused the anti-immigrant rhetoric of candidates in the recent Australian elections, revealing a dark side of the national character even as Afghans and others drowned off their shores. War reverberates, even where you least expect it. Afghans who remain at home are on edge. Their immediate focus: the presidential election scheduled for April 5, 2014. It’s already common knowledge that the number of existing voter cards far exceeds the number of eligible voters, and millions more are being issued to new registrants, making it likely that this presidential contest will be as fraudulent as the last, in 2009, when voter cards were sold by the handful. With President Hamid Karzai constitutionally barred from a third term, the presidential race is either wide open, or—as many believe—already a done deal. In August, Afghan news services reported that Karzai had chaired a meeting with a few of the country’s most powerful warlords to call for the candidacy of Abdul Rab Rasoul Sayyaf, intimidator of women in parliament, longtime pal of Osama bin Laden, mentor of al-Qaeda’s Khalid Sheikh Mohammed, likely collaborator in the assassination two days before 9/11 of the Taliban’s greatest opponent, Ahmad Shah Massoud—in short the quintessential untouchable jihadi. There’s an irony so ludicrous as to be terrible in the thought that while the US supposedly fought this interminable war to insure that al-Qaeda would never again find a haven in Afghanistan, the country’s next president could be the very guy who invited bin Laden to Afghanistan in the first place and became his partner in building al-Qaeda training camps. Even Karzai, who likes to poke his finger in American eyes, quickly backed away from that insult. Within hours of the news reports, he announced that he would remain “neutral.” Americans scarcely seemed to notice, but Afghans noted what Karzai had done in the first place. Now, as Sayyaf and other potential candidates do backroom deals, jockeying for position, Afghans wait anxiously to learn which ones will actually register to run before the October 6th deadline. The names bandied about are those of the usual suspects: familiar militia commanders from times past, former jihadis, and political hacks. At this writing, a coalition of some of the most powerful are said to be aligning behind former foreign minister Abdullah Abdullah, who came in second to Karzai’s overstuffed ballot boxes in 2009 and declined to take part in a runoff likely to be just as fixed by fraud. One Afghan politico, surveying a recent gathering of likely candidates, expressed to The Washington Post an opinion widely held by Afghans: “These are the people who destroyed our country. They should all be thrown down a well.” Beleaguered Afghans have lived through all of this with all of them before. Sometimes it ends in a crooked election. Sometimes in a coup. Once in recent memory, in a civil war that could go into reruns. Meanwhile, Karzai has also been tampering with the Afghan Independent Human Rights Commission (AIHRC), a government body headed by Nobel Peace Prize nominee Dr. Sima Samar, and the most respected public body in the country precisely because it has maintained its independence from government politics. In December 2011, Karzai blocked the AIHRC’s nonpartisan work by allowing the terms of three of its most effective members to expire. Another respected member had been killed earlier in 2011, together with her husband and four children, by a Taliban suicide-bomber reportedly aiming for officials of Xe (formerly Blackwater, now Academi) in a Kabul supermarket. The members Karzai cut loose included Ahmad Nader Nadery, an assiduous researcher of war crimes, largely responsible for a “Mapping Project,” never officially released, that reportedly names prominent warlords and members of Karzai’s government. After stalling for eighteen months, last July Karzai stacked the AIHRC staff with five political cronies unqualified in human rights. They include an Army general, a member of an Islamist fundamentalist political party, and a mullah who served in the Taliban government, spent three years in the US military prison at Bagram (without being charged), considers Shariah law the best source of human rights legislation, and opposes laws currently on the books that aim to protect women from violence. Now that the end of the international occupation approaches, the story of its success is undergoing a peculiar revision. The stunning advances Washington claimed in Afghanistan seem somehow much smaller and so much less impressive. Education, health care, and human rights, just like the fabled MRAP, have not lived up to their publicity. For example, Western leaders have taken particular pride in supposed advances in Afghan education since the defeat of the Taliban in 2001, in schools built and students enrolled by the millions. (The US Agency for International Development alone spent $934 million on Afghan education in the last 12 years.) But UNICEF reports that almost half the “schools” supposedly built or opened have no actual buildings, and in those that do, students double up on seats and share antiquated texts. Teachers are scarce and fewer than a quarter of those now teaching are considered “qualified,” even by Afghanistan’s minimal standards. Impressive school enrollment figures determine how much money a school gets from the government, but don’t reveal the much smaller numbers of enrollees who actually attend. No more than 10 percent of students, mostly boys, finish high school. In 2012, according to UNICEF, only half of school-age children went to school at all. Advances in Afghan health care have been another source of Western donors’ pride. But dramatic claims that 85 percent of Afghans now have access to basic health care turn out to mean only that something called a “health care facility” exists in 85 percent of Afghan districts, many of which are enormous. Tens of thousands of Afghans now have “access” to health care facilities only because they fled their war-torn provinces for refugee camps on the fringes of major cities. The country’s high rates of maternal and infant mortality have slightly improved but remain among the worst in the world. You have to wonder if Washington couldn’t have turned all that MRAP money to better purpose. Assassinated only two weeks ago was a courageous veteran police lieutenant named Nigara, who once stopped a suicide bomber by grabbing him in a bear hug. Men on a motorcycle shot her in the neck from behind as she stood waiting for a government bus to take her to work. She was the senior policewoman in Helmand Province, having taken over the duties of her predecessor Islam Bibi, assassinated only three months earlier in the same popular drive-by style. No Afghan has ever been brought to trial for any of these assassinations, nor does President Karzai ever speak out against them. The government keeps no record of its women employees slain in the course of duty. Good neighbor Pakistan chose this moment to release from detention at an “undisclosed location” Mullah Abdul Ghani Baradar, longtime pal of Taliban leader Mullah Omar, and formerly his second-in-command. Karzai campaigned for his release to facilitate the Afghan “peace process,” but now that Baradar is free, his whereabouts are officially unknown. How do you suppose women in Afghanistan, or girls in Pakistan’s Swat Valley, receive that news? So that’s the way the war is ending—in waste, destruction, anxiety, conspiracy, and the evaporation of illusory achievements. A thousand diminutions mark the waning of Afghanistan, punctuated by the sudden violent death of women. But even when the war “ends” and Americans have forgotten it altogether, it won’t be over in Afghanistan. Obama and Karzai continue negotiations toward a bilateral security agreement to allow the US to keep at least nine of the biggest bases it built and several thousand “trainers” (and undoubtedly special operations forces) in Afghanistan seemingly forever. It won’t be over in the US either. For American soldiers who took part in it and returned with catastrophic physical and mental injuries, and for their families, the battles are just beginning. For American taxpayers, the war will continue at least until midcentury. Think of all the families of the dead soldiers to be compensated for their loss, all the wounded with their health care bills, all the brain damaged veterans at the VA. Think of the ongoing cost of their drugs and prosthetics and benefits. Medical and disability costs alone are projected to reach $754 billion. Not to mention the hefty retirement pay of all those generals who issued all those reports of progress as they so ambitiously fought more than one war leading nowhere. Then there’s the urgent need to replace all that retrograde equipment, so efficiently trashed, and recruit a whole new army, so that any month now we can start the next war. Let’s not forget about that. The Nation documents the civilian victims of the Afghan war. Ann JonesAnn Jones is a journalist and author whose works include Kabul in Winter (2006) and War Is Not Over When It’s Over (2010), both from Metropolitan Books. Her latest book is called They Were Soldiers: How the Wounded Return From America's Wars—The Untold Story (Dispatch Books).